The StylePlus marching band product line has been supporting groups for over 40 years. They strive to support your local and national supplier with the highest quality products and exceptional service. Director’s Showcase International (DSI) is a leading wholesale distributor of marching band accessories, guard equipment, and concert & choral attire. For over 30 years DSI has supplied products to schools, band boosters, students and teachers around the globe. Through their exclusive dealer network they have a presence in every US state and in 12 countries around the world. DSI is headquartered in Ligonier, Indiana. 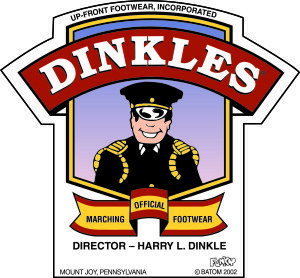 Since 1986, Director Dr. Harry L. Dinkle has endorsed DINKLES Up – Front Footwear. 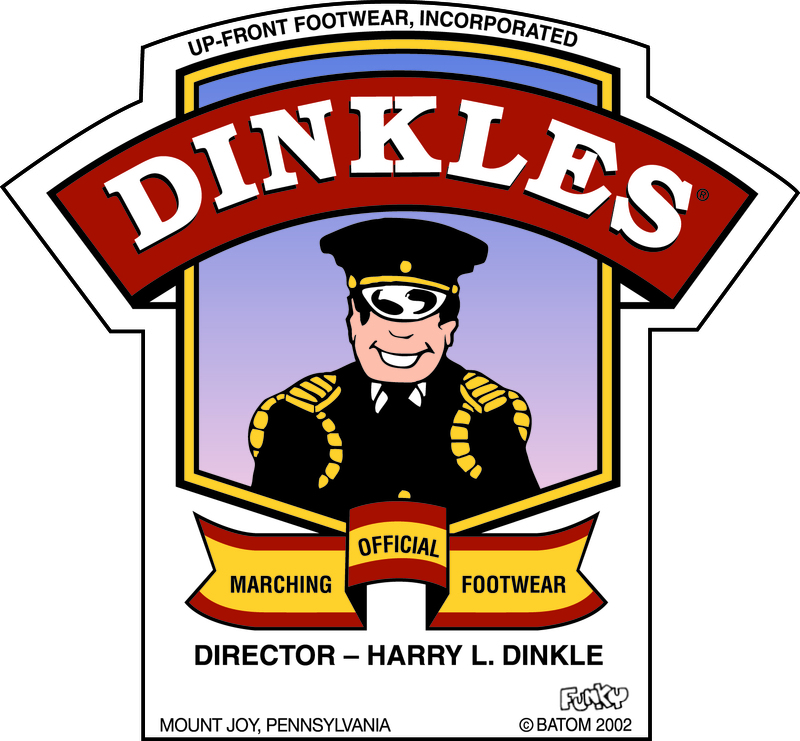 DINKLES has been the industry leader in marching shoes for for over 2 decades and no other shoes on the market are constructed better or tested more than DINKLES. Their marching shoes are worn by drum corps, college marching bands, high school marching bands, and indoor percussion ensembles. Drill Master shoes are light, flexible, durable and supportive. The Rolled-Heel design improves performance and gives marching musicians peace of mind. They have a dressy and stylish look and are worn by champions yearly. Peacock Baton Company has manufactured the Peacock American Maces, American Scotty Maces and various Military Batons and accessories since 1970. At Peacock Baton Company they understand the tradition of delicate balance, weight and design of the Drum Majors mace and baton.and have continued the tradition of making fine quality hand-made maces, batons, and accessories for over 40 years. USA has developed skill and technique-based camps that include all of your student leaders. They offer classes for section leaders, auxiliary captains, drum majors and band council members. Student leaders learn to work together to improve every group in your program. At Anchor Audio, Inc., we stand for top quality sound systems for a wide range of different uses and applications. With top customer service and a 6-year warranty on our portable sound systems, we know we can provide the right sound solution for you. Noreen & Kevin Roberts have owned Creative Costuming & Designs for 23 years and both have extensive experience in color guard, marching band, drum corps and pageantry. Creative Costuming & Designs specializes in producing quality costumes with customized designs and materials so your team’s costumes are one of a kind. Our staff will work with you to create a unique design and will never make or sell the exact design to another group during the same performance season. Tama is applying its four decades of high-quality drum-making expertise to the marching drum market. We intend to serve marching percussion artists by solving the design problems left unaddressed by the status quo equipment makers. These solutions will maximize the drummer’s comfort, safety, and performance, contributing to a richer performance experience. Peacocks Marching World is a proud supporter of Winter Guard Association of Southern California, WGASC. We also recommend checking out more information on Drum Corps International, DCI , and Winter Guard International, WGI! Drum Majors can use this basic spin to change the orientation of their equipment in their hand. Drum majors can use this basic spin as the foundation to other tosses. Drum majors can perform this basic spin with a military or mace. This instructional video focuses on beating of time, a skill that allows a parade drum major to keep time and communicate with the marching band.